Carla at work in her Melbourne studio. Ceramic artist Carla Dinnage loves the feel of clay and creating new things. She is the sole-creator in her Melbourne studio and hand builds and coils all of her ceramics herself. When she's not working with clay and glaze she enjoys skiing, walking, Pilates and hanging out with her best friends, husband and kids. Carla has four beautiful children aged from 11-5 who always keep her on her toes. Carla's work is inspired by her passion for travel and her work is influenced by the time she has spend exploring Europe the Mexico and the Greek Islands. Earthy lux. I like to combine raw material with lots of colours and my signature gold luster. What inspired you to start your own line of ceramics? I studies fine art ceramics at R.M.I.T over 20 years ago. After having a marketing career and then 4 children I found working from home was the best option for me. I started back at ceramics as a hobby and found I couldn’t stop. I had so many ideas and my creative juices were following. I then set up my Instagram account and shops started to contact me. The rest is history! In honour of this week’s theme, tell us about what you love about tabletop styling? I personally love bright pops of colour to make the table inviting and fun. There nothing better then having a colourful fun environment to get In t he mood for a great night. I will be looking for a lot of texture and colour in the images. Beautiful fabrics and nice styling. I would also love a pop of gold! 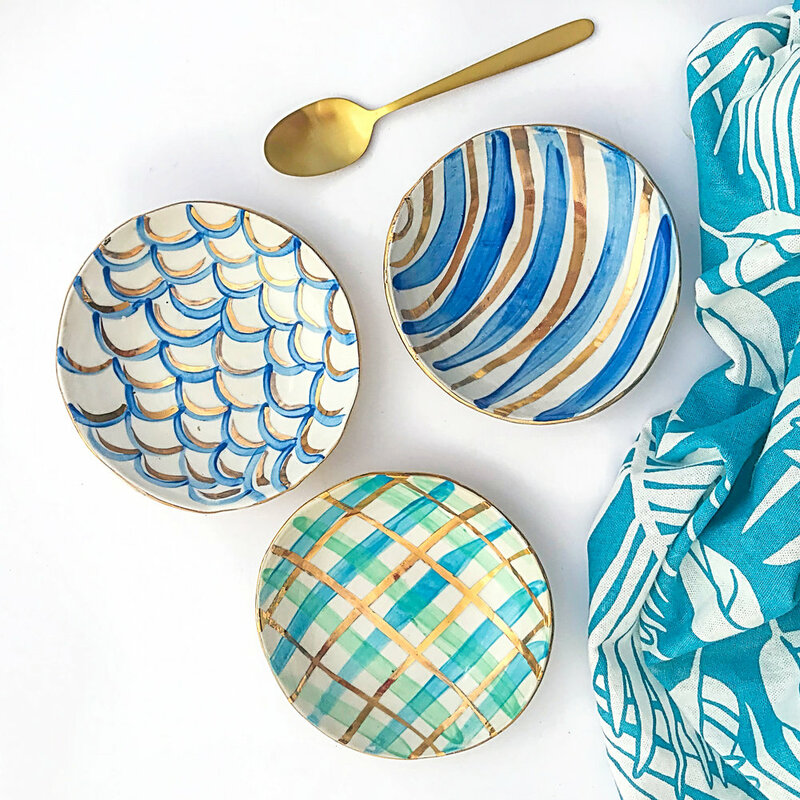 Carla is sponsoring this week's 'On the Table' themed creative challenge and has generously provided these small bowls pictured above for her favourite entry. Find out how to participate below. Yes! I want to enter, tell me how!